Thank you for the recent posts about sofas, both inexpensive sofas and more expensive sofas. They’re all beautiful. Seriously, there were at least a dozen I would have no problem going out and getting right this second. But, it’s my husband. Oh, I wish I could be original. I wish I had a husband who would keep his mouth shut about the furniture, even though he earns all of the money lol. For some reason, he believes that he’s entitled to a say in the matter. He insists that he HAS to have a sectional sofa in our living room. And, he would prefer leather. He really wants one of those hideous shiny leather albatrosses with the stadium seats, but I ran out of the kitchen sobbing and refused to come out of my room. Oh, I know… very juvenile. However, my MANipulating tactics worked. I guess he wanted his supper. So, in a moment of vulnerability, he backed down on the stadium seats and leather. However, I did make him that chocolate cake which made him happy. In addition, our living room has to double as a family room as there is no family room. It is a smallish Bungalow built in the early 30s; yes, loaded with charm. And, yes, the living room is right there when you open the front door. He showed me the kind of sectional that appeals to him. This is the one that nearly caused me to have a nervous breakdown. Yes, Laurel, this is what he wants. And no, divorce is not an option. But, like I said, I got him to see the light. Fortunately, this one won’t work because it is larger than our room. I’m serious! Dodged that bullet. Well, no, it isn’t too much to ask. And, yes, he does work hard and I do want him to be happy. But isn’t there some other way for him to be comfortable and for me to retain my beautiful living room? Before I go on, Sophie is a fictitious character out of my imagination. But, she is based on real people and situations I have encountered. So, I am not bound to solving her specific problem of a comfortable sectional sofa for a smallish living room. I will be addressing broader concerns. But a universal issue is one of comfort. And, a common problem is a sectional that doesn’t fit in the room. Oh, I have seen it more than once. They get it home and it does not fit! Guess they didn’t have a plan! You know, if it was 200 years ago, for comfort, below is the best we could hope for after a hard day of work. Or maybe this one, below. Hmmm… This is reminding me of the Robin Bruce Madeline sofa! I’m just saying that comfort is obviously a relative thing. I mean, if we were in early 19th century Sweden, our comfy sofa might’ve looked like this Gustavian Swedish piece. Hey, at least it’s an L-shape. hahahaha! That’s about the closest thing to a sectional I could find from that era. Oh, except for this French canapé, below. However, it doesn’t come apart, even though it is in sections. Interesting, how the ends face away. When did the first real sectional sofas come into being? I’m not quite sure about that either, although I think the Flintstones had one. ;] I can’t find much before the mid-20th century modern movement. Well, we have this 19th century boudoir sofa from France found on 1st Dibs. But, it too is attached. Interesting piece! That’s new upholstery, but they left the legs as is. I rather like that. What I want to know is why there are four seats and in this configuration? And why is there this verrrry tall conical back? Okay, I found one. One 19th century, Victorian-style piece from France. But, that is all I found that is genuinely 19th century. And, I found this French provincial-style piece. It’s actually 20th century circa 1960. However, the hey-day of the sectional sofa was in the 1940s-50s. The one above is not what we think of as mid-century, but they are saying that it is on Chairish. The sectional sofas began to proliferate in the middle of the 20th century. This Danish Modern mid-century sectional sofa is more what I think of when I think of a mid-century sectional. Aside from the dirty upholstery, I think that this piece is a work of art. In Evansville, Indiana where I spent my formative years, we had neighbors who had a sofa very much like this one in their family room. I thought it was the coolest thing ever. Everything in their home was mid-century modern. It was always fun to go over as I felt like I was living in alternative reality while there. So, how did we get from this sinuous masterpiece to the man-eating monster covered in polyurethaned cow-hide? Here’s the missing link– or part of it. Oh well… What’s done is done. But, gosh, they still make these monstrosities. If you have one and love it, of course, I will accept that. However, please tell me. What happens when the queen comes to visit? Are you going to make her crawl on all fours to take her seat? Or, do you have some sort of pulley contraption that will hoist her in and out of her seat? I suppose that could work. Over the years, I came up with a far more congenial script to explain that they will love the upholstered furniture I sell. Everyone does. And that’s the truth! Although, it took about 15 years to get to the point where I could say it with confidence! However, in the case of Sophie’s husband, it appears that he’s equating size with comfort. Actually, I think that he has it backwards. It’s far more likely that the behemoth is going to be the one that’s uncomfortable. And it’s the same with a sofa, whether it’s in sections or not. Comfort is achieved with interior depth, cushion fill and pitch of the back. In addition, there’s no reason that a sectional sofa has to be different style-wise from its single unit brothers and sisters. I mean, imagine amputating the gorgeous legs off of the beautiful Chippendale style sofa above and instead, extending the length of the rail. What about skirts, Laurel? Does this mean that we can’t have a skirt? I’ll be so disappointed, because I love skirts. Of course you can have a skirt. A skirt is a different thing. Although, generally equated with traditional furniture styles, a skirt is actually modern, since they did not appear until well into the 20th century. Always, there are legs underneath the skirt. They might be short block legs. But, I’ve never seen an upholstered sofa with a skirt that didn’t have them. I love skirts too; especially a beautiful dress-maker or waterfall style skirt like on the beautiful Jamieson sofa from Serena and Lily. In fact, I’ve featured this sofa in at least three of the Laurel Home Paint, Palette and Home Furnishings Collection boards. Another thing to watch out for with all upholstered pieces, not just sectional sofas are weird shapes. If you go back up and look at the big ugly green sectional, please notice the strange curve on the side panel. The only time I can recall seeing this affectation in furniture is in the Empire or Beidermeier style which was roughly 200 years ago. And, it is elegant on this piece. Ancient Egyptian had these shapes too, I believe. But, that sectional is hardly Ancient Egyptian, Empire or Beidermeier. On a contemporary piece, it looks quite strange to me. Same thing goes for this strange arm. Therefore, please look out for strange arms and shapes. For some reason, they seem even more commonplace on sectionals than on regular sofas. As for the shiny leather things with the chaises and cup-holders, aside from their inherent fugly. In a living room situation, it makes the living room about watching TV and that is not really living, IMO. It makes it a media room. And there’s nothing wrong with that, but if it’s the only room for living, conversing, greeting and watching TV, I believe that it needs to function well for all purposes. Now, does the husband NEED a sectional to be comfortable? Probably not. He could be just as comfortable, I think with a plush deep sofa and ottoman. What about the sectionals that come with a chaise? I love this piece and have featured it many times in my hot sales. 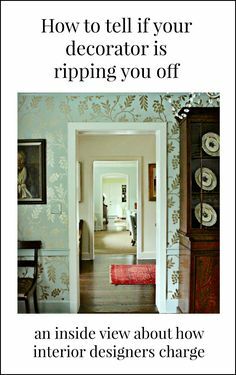 In fact, you can get 20% off this piece by using code: OKL20CARD. But, it’s not going to work for everyone and here’s why. The problem here is that one person gets to put their feet up and the other people watching TV, don’t. That is, unless they get an ottoman What makes more sense to me, is to have a piece like this have a back on the right side of the sectional (or left, if a left facing piece.) That way, someone can sit perpendicular. OR that section can still be used as a chaise. And then, I would put an ottoman in front where everyone can put their feet up. As per usual, I looked at numerous sofas to come up with my list of the best sectionals. As always, the first thing I look for is scale and proportion. My preference is for a back, not higher than 34″. The reason is that it is already a big piece of furniture. My ideal back cushions are box-shaped because they are sleeker. However, not all of these have that style of cushion, but they are still lovely pieces, so they made the cut. Do you know why there are almost always back cushions on a sectional sofa? The reason is because it is not easy to make the pieces of a sectional fit perfectly flush together and the back cushions will hide any small gaps. This doesn’t mean that I tight-back sectional will have these. What else am I looking for in a sectional sofa? I look for legs of some kind and they can be straight, tapered, turned or those metallic modern legs for some styles. However, if your sectional has a slipcover, it will most likely have a skirt and that is fine. The other details are the same as for any other sofa or upholstered piece. And also, here is a lot of good information about what to look for in a quality upholstered chair or sofa. The pieces I have chosen run the gamut for new pieces in the mid-century manner, to English roll arm more traditional styled sectionals. 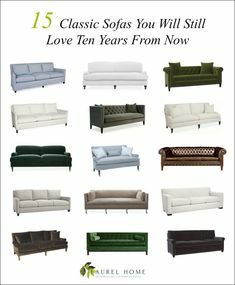 The following are 15 of my favorite sectional sofas. This is probably my number one favorite sectional that I have featured numerous times on this blog. It is a wonderful sectional, because it is roomy but still only 35″ deep. It has a lovely pitch and there are dozens of fabrics, choice of leg finishes and nailheads or not. Another view of the Spruce Street Sectional. Williams Sonoma Home also has the same frame which they call the Addison. It comes in more size options than S & L and also chairs, sofas and loveseats. Serena and Lily Barton Sectional has a more contemporary styling with a partial chaise. I love this piece and as always, it is beautifully styled with throw pillows. Above and below is Jonathan Adler’s Lampert sofa in their sectional version. It comes in numerous fabrics and two finish options for the legs. And, the worn velvet shown above is under $2,500 now, on sale! This is a performance velvet with beautiful styling on this Andes sectional sofa. Room and Board Reese Curved Retro-Style Sectional Sofa is a faithful reproduction of a mid-century sectional. There are numerous fabric options to choose from. It is available in numerous fabrics. Quite stunning, I think. Love this piece which makes for an easy conversational sectional sofa, or for watching TV. It comes in several performance fabrics. You can see them all here. You might recall me sitting in this lovely piece during my visit to their new store in Manhattan in November. And, it is supremely comfortable. If you are interested in any of these, you can get 20% off with code: OKL20CARD. This piece is more expensive than some, but it is a high-end piece with a down and feather fill. This is a very stylish, versatile piece and also comes in several fabrics. Use code: OKL20CARD for 20% off. This piece also comes in several fabrics and you can use code: OKL20CARD for 20% off. We were looking at the Brooke regular sofa in this post. It also comes in a right facing version. And the promo code works here, if interested. I adore this sectional. It comes in numerous fabrics and leg finishes for a fully custom piece. The Danner sectional in a room setting. This is very interesting because who would think to put mid-century style furniture in a rustic woodsy home? But it works, I think. One Kings Lane Davia Right-facing Sectional Sofa retro style – platinum. This is nearly identical to the Room and Board sectional Reese sectional (above). However, there are fewer fabrics available than the R&B sectional but with the promo code OKL20CARD the price is only $3,135.00 That’s quite good for a curved three-piece sectional. The Comfortable Couch Company (Cococo) is a retail source that I ordered from once and had a very handsome custom sectional made for a client. What’s interesting with this company are their immense customization abilities for their pieces. 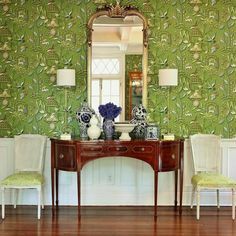 Not only, the fabrics, but the size, cushion fill legs, nailheads and other details can be specified. And, their prices are quite reasonable. They actually have numerous styles that I’m quite fond of. Please note, however, that shipping is completely ala carte and while they can help you set it up, you are going to find out just how insanely expensive it really is. A sectional delivered, could set you back several hundred dollars. Now, at first glance, you might think that this would not meet with my approval. But it’s proportions and chunky straight arms give it a deco modern feel that could see working in many different spaces. Plus, it’s handsome, hunky lines will appeal to men and women alike, I think. And, you can use your promo code: OKL20CARD for 20% off! This is the Serena and Lily Miramar sectional that’s relatively new for them. Although, they have had the Miramar sofa and chair in their line for years. What I’ve noticed about the Miramar is that their sofa used to come with a bunch of self-pillows and now, they are selling it as is and the pillows are available later. Williams Sonoma Home also has a version of this sectional from their Bedford line. It does look a little different, but the measurements are identical. The only difference that I can see are the legs. This is a deep, luxurious piece, and you’ll definitely need some pillows. Well, guess what? My delightful son is here for the weekend and we are planning a trip to the Metropolitan Museum of Art. Really looking forward to that. And then he has a gig in Brooklyn! Hope that y’all are having a great weekend too! Please don’t forget to check out the hot sales for lots of new items on sale this weekend. One Living Room Layout – Seven Different Ways! Cheap Lamps – Sources, Hacks and What Size To Get! And I can absolutely relate to the husband-leather-sectional conundrum. I own a huge leather sectional ( 10 x 10 feet) in chestnut/medium brown for close to 20 years now. We needed new seating for the family room and my husband insisted on both, leather and sectional. I told myself to pick my battles wisely and so I was on the hunt for a little over a year and my husband’s patience wore thin. But finally I found it. Beautiful soft leather, down filled back cushions an acceptable shape, simple with a curved armrests. Really really deep seated. I can’t really sit on it but I’m the exception in my family the guys are all around 6’4″. It survived my teenage children and their friends beautifully, still looks really good and is still in really good condition and very comfortable for an afternoon nap. BUT: you wouldn’t believe the maintenance it takes. Regular wiping and cleaning. Three times a year I take it completely apart for deep cleaning: shampooing with leather soap, rinsing, drying, conditioning. And fluffing the back cushions is serious physical labour that has to be done fairly frequently. The price might have motivated me. It was around $10 000. But it was worth the investment and the effort and my children jokingly discuss who is going to inherit it. 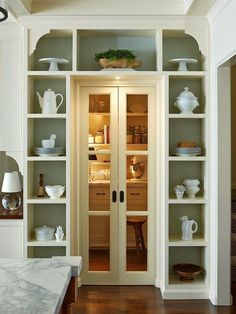 As for decorating with it, I learned to make it the center of the room as there’s no way around it because of its size alone even if our family room can accommodate it easily. A collection of textured high quality pillows and throws in creamy colors grew over the years. So I learned to love it and now my grandchildren do too. Come back to England! I’ll try find some PR that’s worth the trip! Thank you for your 2 wonderful posts on sofas. Yaaaayyyy! I have the same husband. We got a small scale L shaped sectional from a local company for our teeny 1000 sq ft cottage about 4 years ago and it was a bit of a struggle to get him on board with my choice. Luckily most of the awful things he liked were way too large for our corner, so that helped. He insisted on round stuffed arms for comfort lying sideways (deaf to the persuasions that you can feel the edge of the square interior frame just as much, or that a pillow placed against the arm negates any difficulty) but luckily I was able to find a model with a smaller roll that didn’t eat TOO much valuable space. Similar look to the Ikea Ecktorp but way more comfortable. I would build a house just for the danish modern sectional. I’m not even a fan of MCM but I think they did them well. I probably just associate them with that era. I’ve featured Karen, owner of the slipcovermaker at least three times on here. I too, love her work. You can read the posts here, if interested. Your fictional wife’s story made me chuckle. The sad fact that there are a lot of husbands out there like your story described makes me appreciate my husband. He let me furnish our home however I wanted. Our friends that live next door bought a sectional. It’s too big for the room. And now there’s no room for any chairs. When we visit we all have to sit next to each other or on the floor. The husband makes all the decisions in that household & he selected it. Smart husband you have! And yes, the all-too-common sectional that’s too big for the room. Verrrry common. It’s definitely a “man” thing. My husband has his own media room in our house that no one ever watches TV in besides him and sometimes our son, and he still wants a huge sectional for it! Maybe it’s some sort of caveman instinct? Granted, my husband is 6’1″ and weighs around 270#. (too much). He has this need to feel large amounts of space all around him. Furniture that he finds comfortable makes me feel like a tiny child (feet don’t touch the floor, etc.) and there’s no way I can comfortably sit on it without curling up in it. Furniture that I find comfortable makes him look like an adult trying to squeeze into kids’ chairs in a Kindergarten classroom. We have been able to find a happy medium for our family room…..we have 2 white slipcovered sofas arranged in an L-fashion. They are more to my scale, but he isn’t uncomfortable on them. Now to furnish the rest of the room….. I like the “long sofa table behind one side of the sectional with lamps on it” look, but I guess there’s a risk of knocking lamps off if their bases aren’t heavy and sturdy and people have more rambunctious kids. Every time I’ve been tempted to get a sectional I remember the hassle of not being able to rearrange my mom’s den when I was a teenager. We have two sofas now and there are a ton of options if you have a big room anyway. I’m Sophie! I think I mentioned before that we have a hideous blue pleather monstrosity that looks just like the first photo in your blog. Not only does my husband adore it, but so do our 5 kids. They love the fact that it reclines, has drink holders and USB ports. I FINALLY got the go-ahead to replace this when we move into our new house, but they have all told me it has to be comfortable or they will all hang out in the basement with the old yucky couch. The USB ports broke, and they shouldn’t have drinks on the sofa anyway. Thank you so much for these awesome alternatives! We have about 6 months, so I’m going to keep referring to this article over and over again as we pick our new couch. Thank you again for your teaching moments!!!!! I did not want to have another sofa fail again. I’m hoonored! I just read it to my husband and he loved it. This article will be a big help And, when we agree on the perfect couch I’ll order through your website. He is actually working his way through the article – my suggestion for all sofa conflicted husbands. Great post Laurel! Love those Jonathan Adler sectionals. For me, the biggest argument against investing in a sectional is that the odds that it will fit in/work in your next home are maybe 30%. If it’s L shaped, the odds are even lower. On the other hand, a not-too-long sofa and a couple of beautiful easy chairs and ottomans are going to work almost anywhere — even if you have to move one of the chairs or ottomans to a bedroom. Also, what happens when you need to make space for relatives to stay indefinitely, or when you or your spouse takes up a new hobby and need to take over part of the living room for a while? It’s tough to push a sectional out of the way or move it to another room. And then there’s the whole moving the furniture to vacuum and putting it back challenge. . .
Great post. I stage vacant homes and 9 times out of 10, male investors will ask me to put in a sectional in the living room or great room! I have yet to purchase a sectional for my inventory because not all rooms can handle a sectional …and I want to have all versatile pieces in my inventory. Seems like “sectional” and “male” go together! Even if the room is way too small to handle it! About 10 years ago, I helped a design client re-cover a mid century curved sectional she had made for her room. The pattern she had on it was god awful – but I chose a Norbar pale teal performance fabric ((she had grand kids and a cat!) and it came out beautifully. It was so worthwhile to transform this piece, rather than buy a new sectional (which, of course was a demand from her husband!). Love, love, love Norbar! It’s one of the 35 or so sources in Laurel’s Rolodex that I can’t live without. I ordered from them, hundreds of times starting in 1992 (working for someone else) and then when I began my own biz in 1996. Great company. Hello Laurel, Perhaps the mere presence of visible legs on couches makes them visually delicate and uncomfortable looking to certain people, regardless of the actuality. Almost every sofa you illustrate in these articles has legs, and you have mentioned that these same legs are often one of the problem design areas! A sofa built near to the floor looks solid, sturdy, and comfortable. Of course, badly designed deep skirts or rails would only compound the problem, but all design choices involve avoiding what is ugly or awkward. With a few rare exceptions, generally concerning large or curved areas, I have always disliked sectionals. They seem uncomfortable to me (too wide is as bad as too narrow), so I am not sure why they look good to your prototypical client’s husband. Also, the mere thought of lying down on an angle or curve makes my back start to hurt!